A coterie of political enthusiasts on Wednesday berated President Muhammadu Buhari for commending the late military dictator, Gen. Sani Abacha. The coterie, during separate interviews with The Punch on Wednesday, described Buhari’s statement as a distraction. Also, a chieftain of the Afenifere, Chief Ayo Adebanjo, said Buhari spoke well of Abacha because he was his appointee and benefited from the deceased’s dictatorial regime. Adebanjo said President Buhari had lost his credibility and should not be taken seriously. He stated, “Buhari worked under Abacha and why are you surprised about his support for Abacha? “Here is a President who has lost his credibility and some Nigerians are still taking him seriously. I have always spoken about the anti-democratic ideals of Buhari but his supporters at that time told me that Buhari had changed to a democrat. 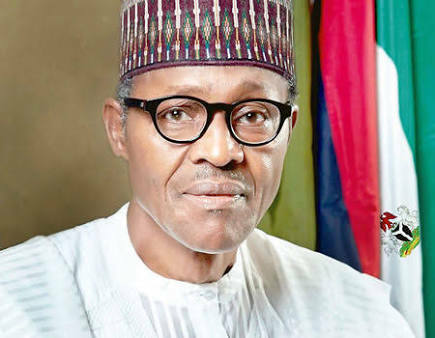 However, the President of the National Council of Tiv Youths, Dr. John Akperashi, said the statement had exposed Buhari’s unstable posturing and further confirmed the notion that his purported fight against corruption was selective and self-serving. Also, a former Minister of Aviation, Mr. Femi Fani-Kayode, on his twitter handle said that Obasanjo should have jailed Buhari for allegedly looting the Petroleum Trust Fund. On his part, a former aide to ex-President Goodluck Jonathan, Reno Omokri, berated Buhari.